There are several craft beer shops in Okinawa but very few of them are official shops of the breweries themselves. Craft Beer House Baku is somewhat affiliated with Okinawa Sango Beer but only Helios Distillery has their own restaurant in Naha. 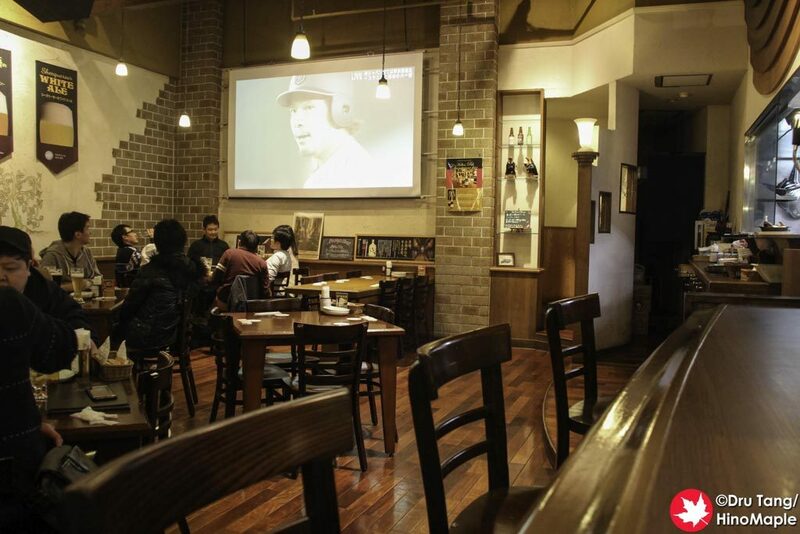 If you are walking down the main strip of Kokusai-dori, you are bound to stumble upon Helios Pub and it is worth a visit if you are looking for a safe standard environment. The outside of Helios Pub is pretty standard. It is mostly green with a small logo. They have a very open front that is pretty inviting and when I visited they had a big air filled beer glass on display. It was really interesting and the inside is very European. The interior was filled with lots of wood and it looked very nice. It was very warm but the staff felt a bit cold overall. When I entered there weren’t a lot of people. I was promptly given a seat at the bar and I quickly ordered a beer. The service is pretty standard but it doesn’t have the character that a small bar would have. I didn’t feel as if I could talk with the servers and they seemed to be happier talking with each other instead. It was also a problem that they were a little understaffed with only 2 people working the floor for the entire night when I would imagine 3 people would be best. 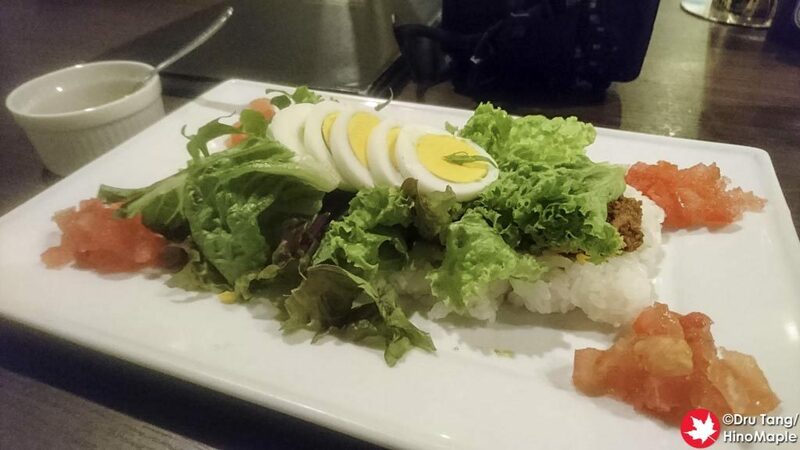 The food at Helios Pub is pretty interesting. 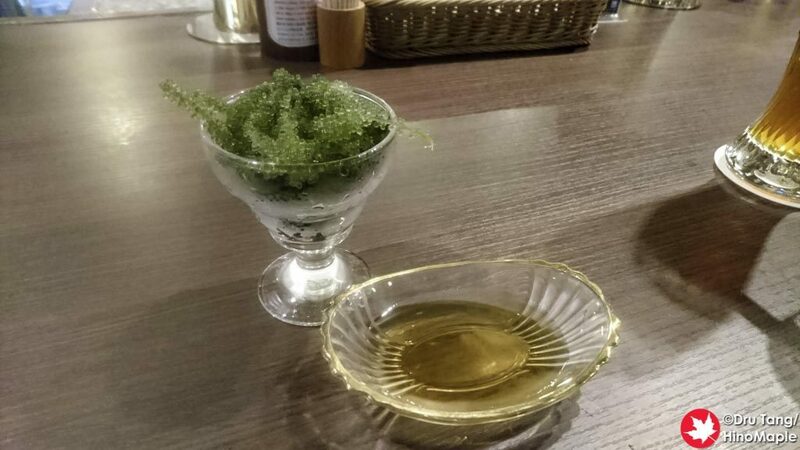 There is a typical otoshi, table charge in the form of a snack. They had a lot of good Okinawan classics in an upscale design. The western food seemed to be a bit better as they had a special onion and cheese grill that was really good. I tried the umibudo, sea grapes, and it was nice as well as the taco rice. 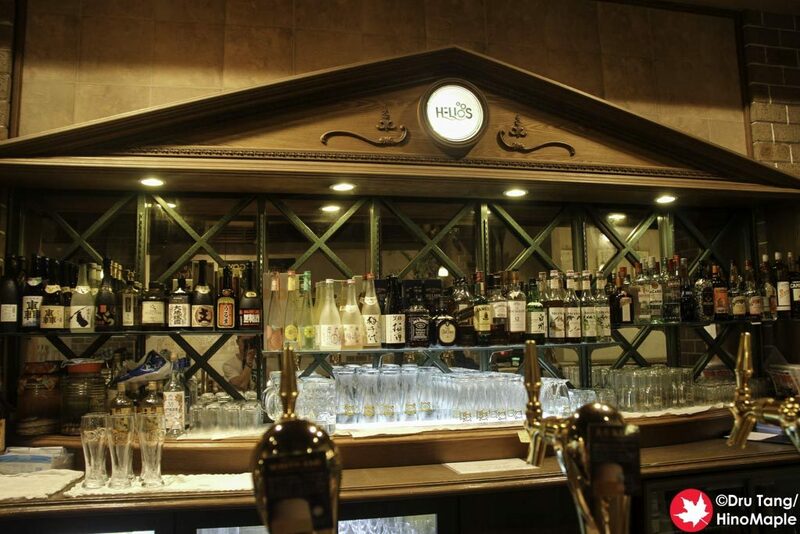 I couldn’t complain about the food but I wasn’t at Helios Pub for the food. The drinks are the main reason I went to Helios Pub. 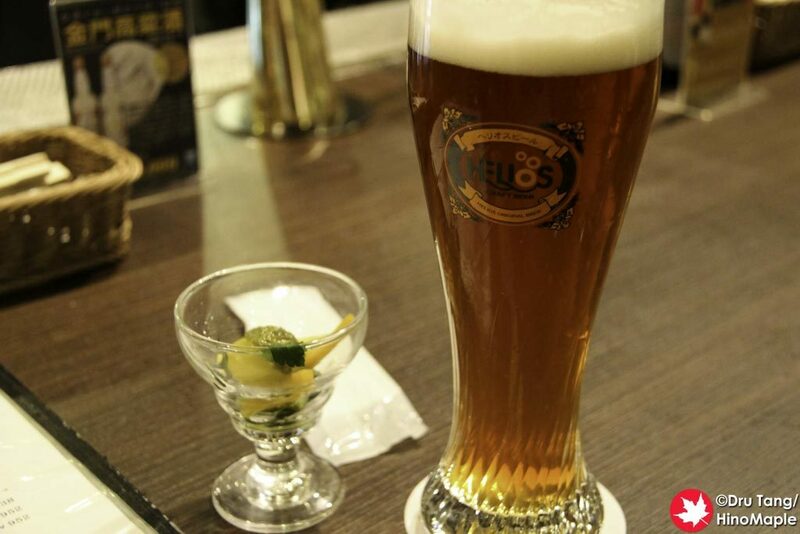 Helios beer is one of the best beers in Japan and they have a lot of interesting takes, such as their Goya Dry that uses bittermelon. They usually have a couple of seasonal beers on tap but almost all of the beers I had tried in some form or another in the past. I was most interested in their Awamori, a local Okinawan alcohol. 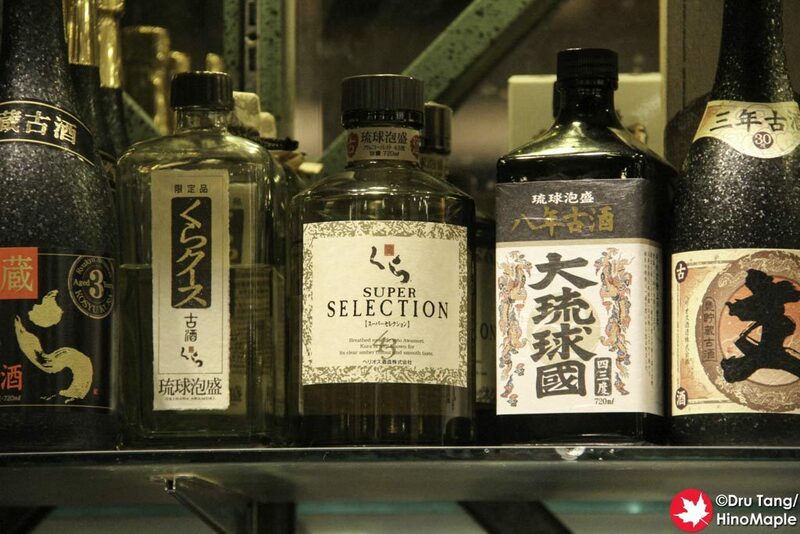 It is similar to shochu but with a distinct taste. Helios was originally an Awamori distiller and it shows with the Kura. I had their Super Selection and it was really good, albeit strong. 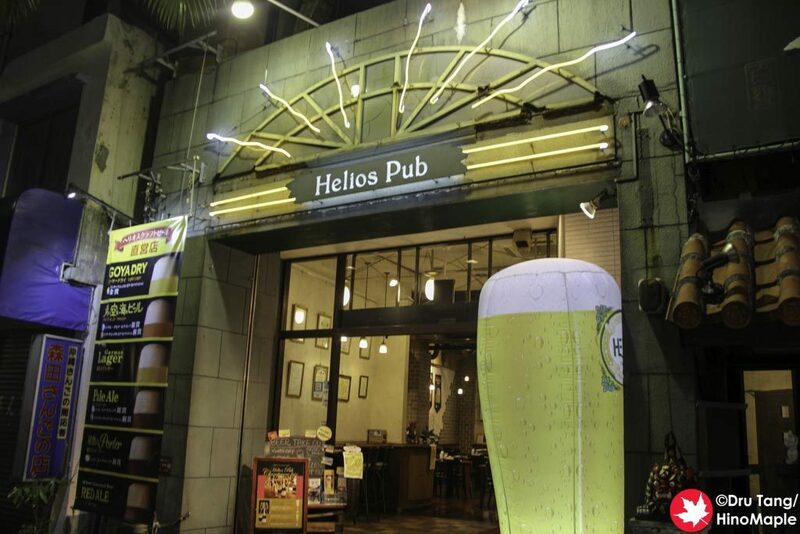 Helios Pub is a pretty safe choice if you are looking for craft beer and Awamori in Naha. I don’t think I will go back again as there are other places that I would want to try before I went back to Helios Pub. If you are by yourself and a little afraid to venture out on your own, Helios is a safe bet but don’t expect a lot of conversation with people. This entry was posted in Okinawa Food and tagged Awamori, Helios, Helios Beer, Helios Pub, japan, Kokusaidori, Kura, Naha, Okinawa by Dru. Bookmark the permalink.